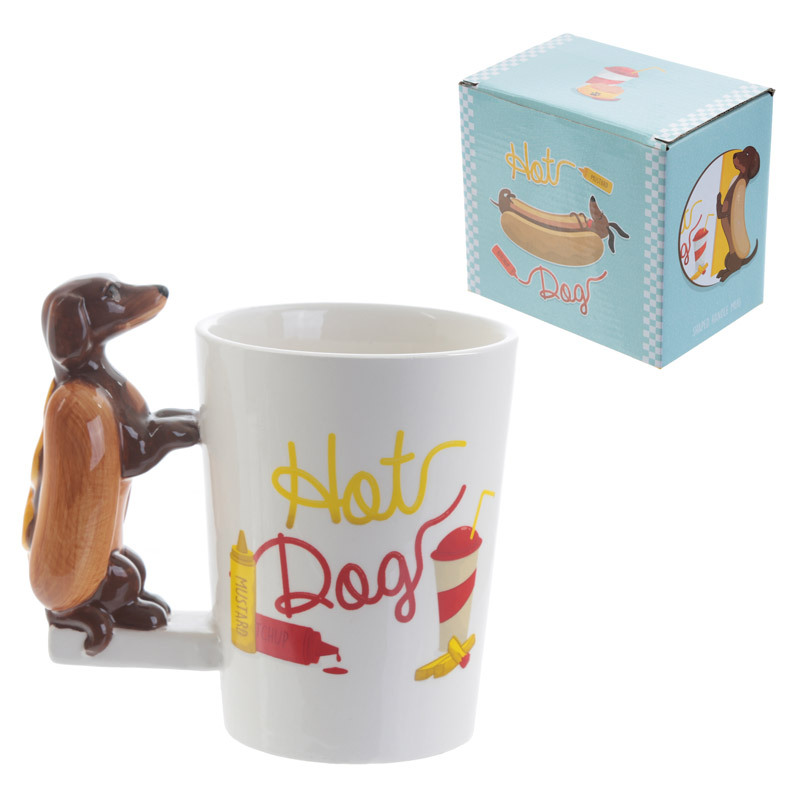 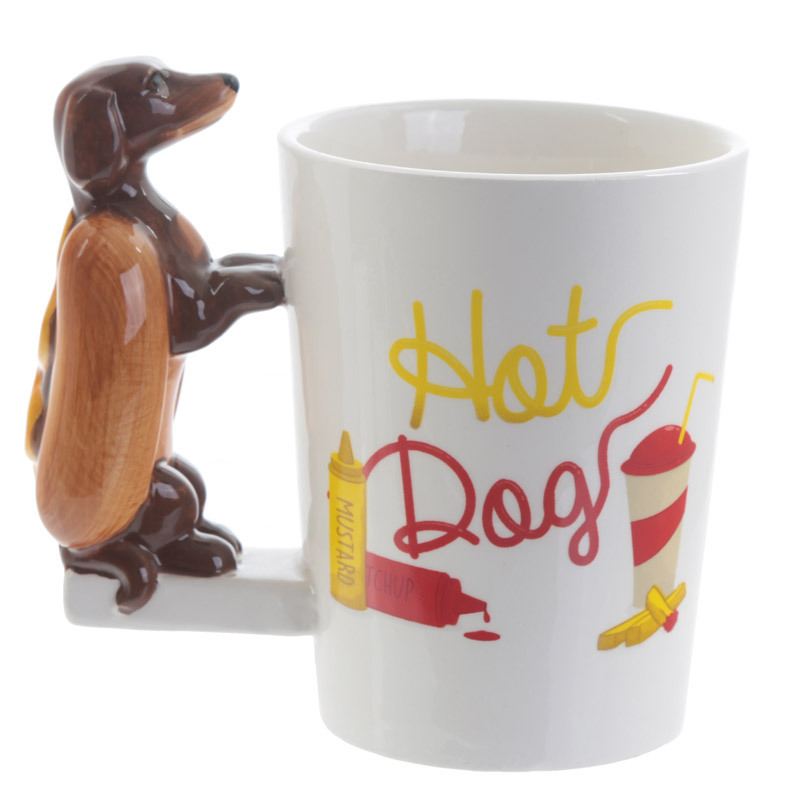 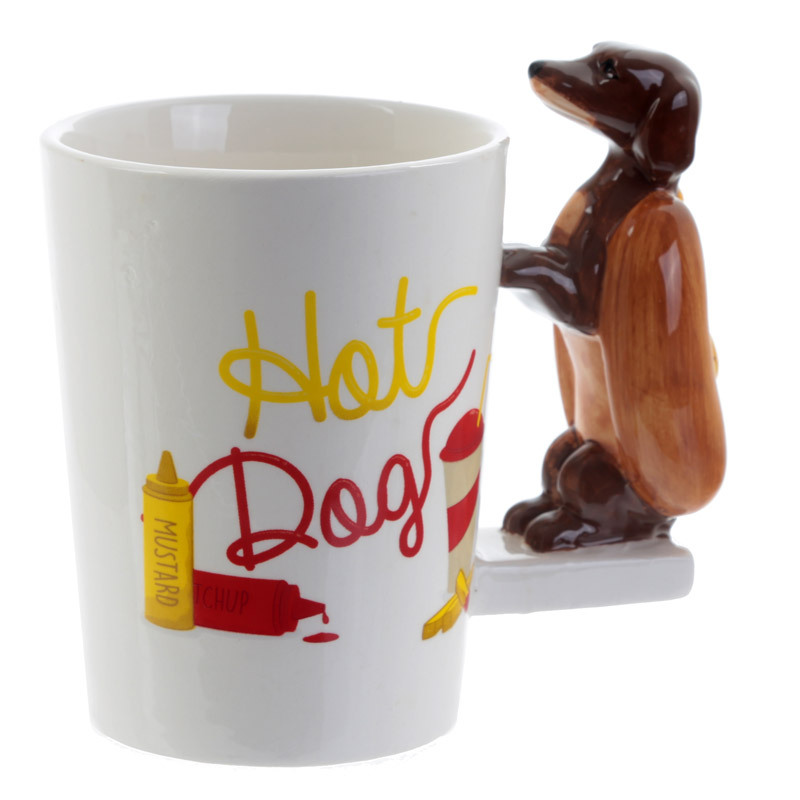 Hilarious mug that reads "Hot Dog" and has a handle in the shape of a sausage dog in a hot dog bun. 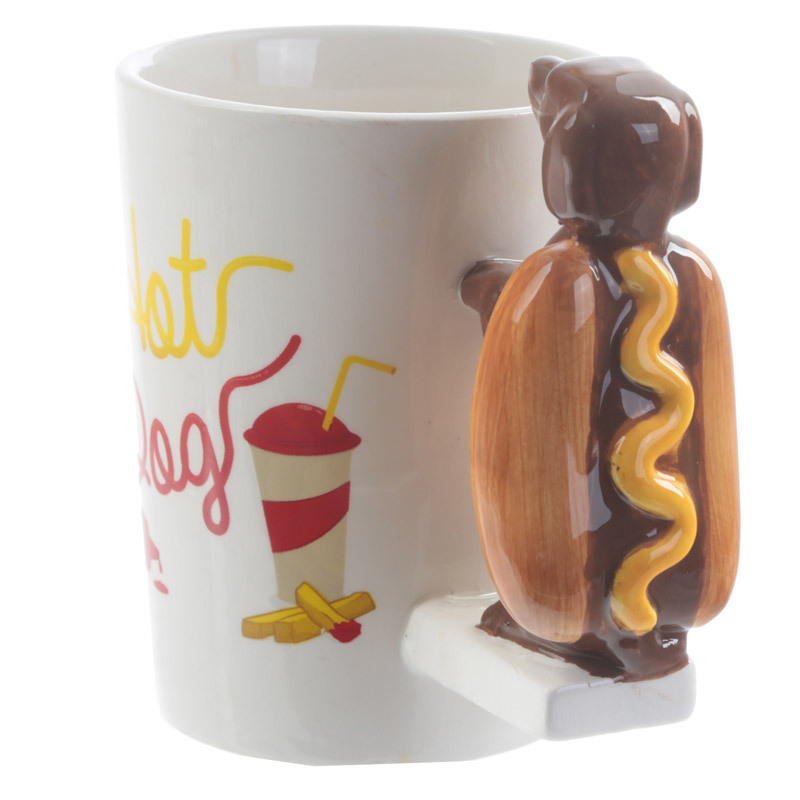 Instantly makes you smile while drinking your morning tea or coffee. 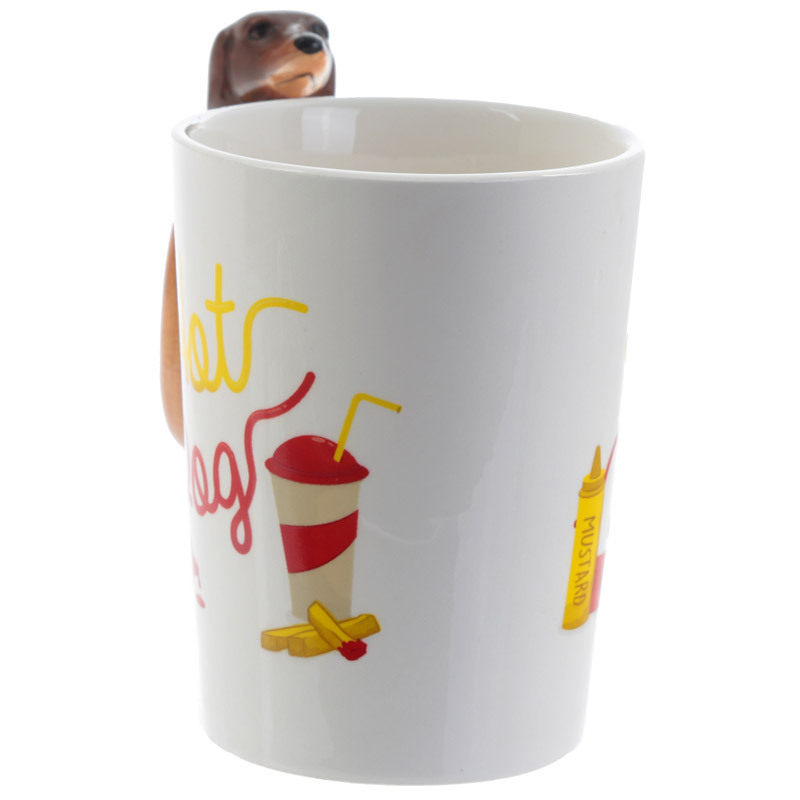 Capacity: around 350 ml. 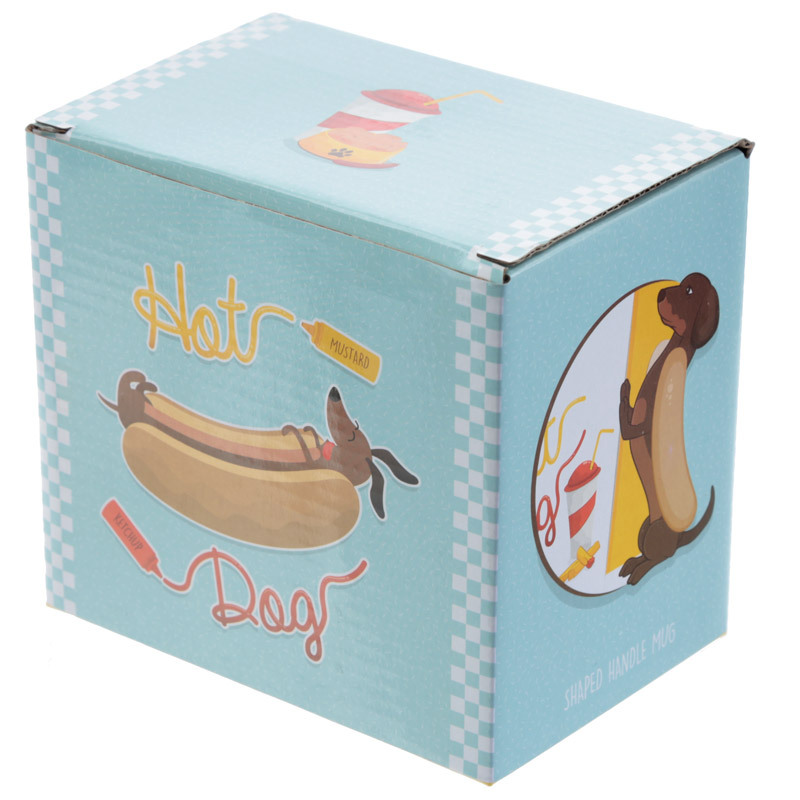 Funny gift idea for everyone.